Simple City started as a project that brings artists together to illustrate different buildings and landmarks in their respective cities. At the time we were based in Downtown LA's Arts District and created illustrations for various buildings there. 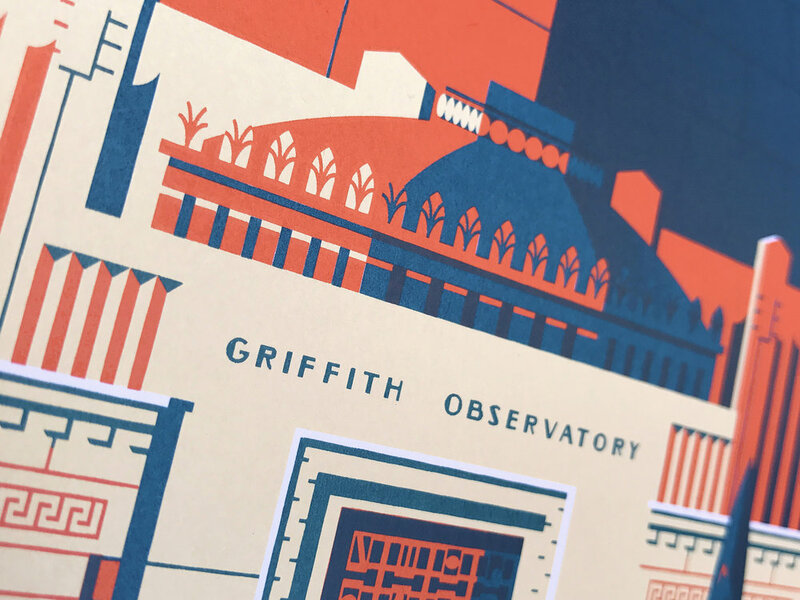 After the project came to a close, we decided to revamp two of our favorite pieces and added Griffith Observatory which is located above LA's lovely Los Feliz. THINK THESE POSTERS ARE COOL? Well you're in luck because we're selling them! Check out our shop page to get the details. Printed by the talented folks at Mama's Sauce.